Warm weather brings Summer Fun, Summer Games and BEACH TRAFFIC! 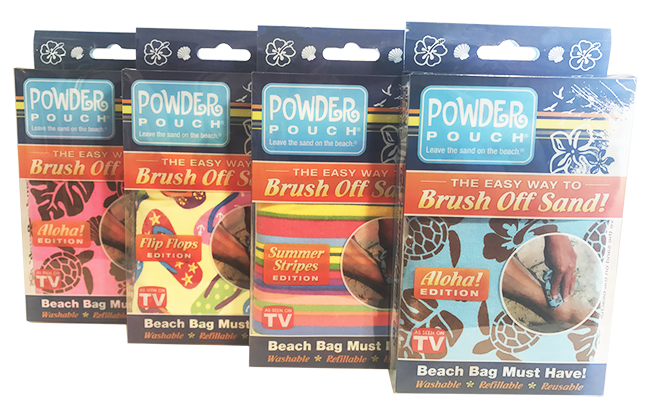 Beach goers will be looking to leave the sand on the beach, and now you can offer them Powder Pouch! Our packaging is made from recycled plastic and is 100% recyclable.